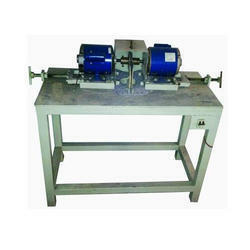 Our range of products include battery plate grinding machine. Grinding Wheel Width 4"- 6"
Driven by technically advanced facilities at our ultra-modern manufacturing unit, we are presenting an extensive range of Battery Plate Grinding Machine. Looking for Battery Plate Grinding Machine ?